Nevada Assemblywoman Michele Fiore believes cancer is “a fungus” that can be cured by “flushing, let’s say, saltwater, sodium bicarbonate” through the body. She shares part of this belief with Dr. Tullio Simoncini of Rome, who uses sodium bicarbonate to treat cancer. The Washington Post disagrees insisting that cancer is not a fungus but is the uncontrolled division of abnormal human cells within the body. It is an old theory though that does not quite cover the landscape of cancer. They can insist as much as they want, as do many medical organizations, but the truth is that if cancer is not a fungus it is almost always accompanied by one, especially in the later stages. There was nothing professional about the Post essay but that is nothing unusual when it comes to the medical press. Sodium bicarbonate is a serious medicine meaning it is infantile to put it down and aside so lightly for the treatment of cancer or anything else like viral infections, which are very sensitive to changes in pH. Baking soda it the ultimate pH control medicine, which is safe, inexpensive and incredibly fast acting. Fungal disease is like the Trojan horse that threatens the world as deaths reach approximately 150 people per hour. Doctors need to wake up to the plight of more than 300 million people worldwide who suffer and die every year from fungal disease. Fungal disease is worldwide catastrophe that is growing year on year, but could be halted with one of the best and certainly the safest antifungal medicines on the market and that is sodium bicarbonate. Sodium Bicarbonate (NaHCO3) is a natural substance used to regulate pH as a counterbalance to acid build up and accompanying low oxygen conditions. Sodium bicarbonate is the easiest, fastest and safest way to rush oxygen to the cells and it is a biological fact that cancer cells hate oxygen. Baking soda affects the pH of cells and tissues, balances cell voltage, and increases CO2, all of which helps with oxygenation. 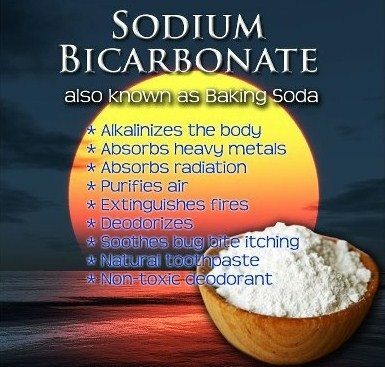 We might not be able to say that bicarbonate cures cancer but certainly baking soda helps patients survive their cancer. It certainly helps patients survive chemotherapy and that is why it is quietly used to buffer the toxic effects during chemo administration. Sodium Bicarbonate can be used as a first line of defense for a vast range of sickness including, cancer, flu, diabetes, kidney disease and even the common cold. Sodium Bicarbonate can be used in many forms whether transdermally in a bath, orally or nebulized for lung conditions. It can be used against radiation exposure. The US Army has known for decades that it protects the kidneys against uranium toxicity. Only a few brave souls say that cancer is a fungus but certainly most patients with late stage cancer have fungus infections, which doctors do not know how to treat, because most medical organizations come out clearly against the use of sodium bicarbonate, which is after all a good anti-fungal. However saying the treatment theory is based on cancer being a fungus does not describe the true nature of sodium bicarbonate and why it is used so much in emergency rooms and intensive care departments. It demonstrates a lack of understanding of what sodium bicarbonate is, what it does, and how it is can be used. Simple baking soda is an emergency room medicine (that you can buy at your local supermarket) that is also helpful when patients are given radiation treatment. 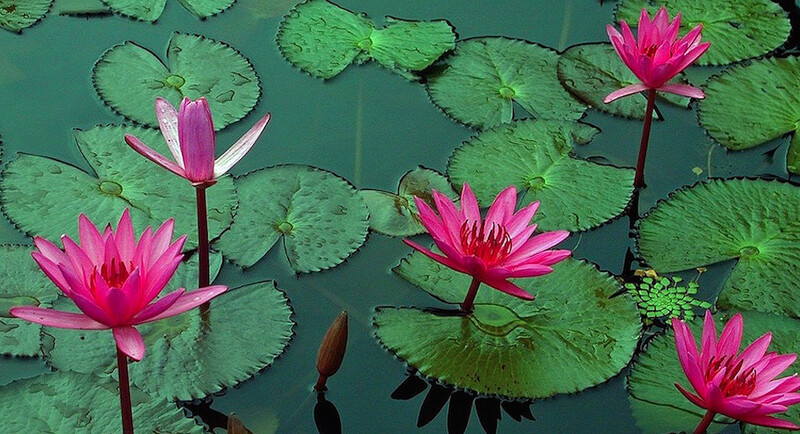 Though it does kill yeast and other infections quite quickly, its main function is to increase CO2 and oxygen levels, which is not conducive to cancer or tumor growth. This is not true, medical scientists have studied bicarbonate and it does shrink tumors. (Bicarbonate inhibits spontaneous metastases (Robey 2009) Bicarbonate Increases Tumor pH and Inhibits Spontaneous Metastases according to many medical scientists so one has to wonder when newspapers come out so strongly against it. NaHCO3 therapy significantly reduced the formation of hepatic metastases following intrasplenic injection, suggesting that it did inhibit extravasation and colonization. 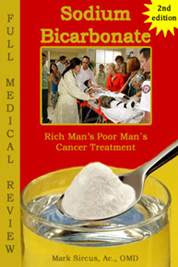 Actually much research has been done that shows sodium bicarbonate’s benefits in cancer and in our daily life and I strongly suggest you read my book on sodium bicarbonate…..recently published in hardcopy on Anazom.com and also in ebook on our website. Virtually every cancer patient will benefit from the use of sodium bicarbonate because it treats the low oxygen acid conditions found universally in cancer patients. Healthy people also benefit, as do the aged and those with bad colds and influenza. Baking soda is a buffer helpful against any and all toxic exposures including chemical, heavy metal and radiation exposure. It is not appropriate to claim that sodium bicarbonate cures cancer because it should not be used outside of a supportive protocol that attacks cancer from many sides at once. See my full Natural Allopathic protocol for how to do that. I did a radio show on sodium bicarbonate recently. Cancer is a complex disease process and using baking soda alone will not “cure” cancer all by itself. However using baking soda along with other natural therapies to improve immune strength can help the body to combat and defeat cancer. Principle additions that reinforce the effect of bicarbonate is breathing retraining, heavy use of infrared mats, and intense application of magnesium, iodine and selenium. This entry was posted in Uncategorized on June 22, 2017 by The Health Coach.